Provide comfort for the family of Margaret Angner with a meaningful gesture of sympathy. Angner, Margaret, loving mother of William (Vicki Simon) Angner. Proud grandmother of Emily, Zachary and Gabrielle (Adam Laib) Angner. Caring great-grandmother of Oscar Angner. Beloved sister of Rosa Fodor and brother- in- law, the late Alex Fodor. Preceded in death by her parents Josef and Rosa (Weiner) Angner. She was loved by her nieces and nephew Linda Conley, Harold Fodor, and Diane (Steve) Lilley, their children, grandchildren and also Vicki’s children and grandchildren. She will also be missed by Scruffy and Winston. Oma passed away on Sunday, December 2, 2018 age 88 years. Relatives and friends are invited to attend blessing services on Wednesday, December 5, at 1pm, in the chapel of St. Joseph Cemetery and Mausoleum, 3819 West 8th Street. Cincinnati, Ohio 45205. The family wishes to offer a special thanks to the staff of Atria Highland Crossing and St. Elizabeth Hospice Center. 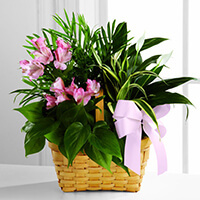 In lieu of flowers, please make donations to Hospice Care of St. Elizabeth, 483 S. Loop Rd. Edgewood, Ky 41017. 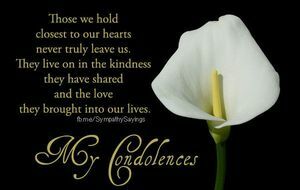 Sending lots of love, peace, and my deepest condolences to all of Margret's loved ones. Bill, we extend our thoughts and condolences at this time of loss. PMO Management Team: Kenna, Leslie, Matt and purchased the The FTD Living Spirit Dishgarden for the family of Margaret Angner.